The UC Davis Retiree Center is a contact point for retirees of the University of California, Davis and for retirees from other campuses who live near Davis. Some of the services available to UC Davis retirees are listed here. UC Davis ID cards are extended only to staff and emeritus faculty who retired from UC Davis and are receiving monthly benefits from University of California Retirement System (UCRS) or who elected a lump-sum cash out. The retiree ID card, called an AggieCard, provides access to campus resources such as the library and discounts at campus venues. You may obtain your retiree AggieCard by scheduling an appointment using ScheduleOnce. Your AggieCard will be processed by the Shared Services Center (SSC) at the New Employee Onboarding Center location at the Memorial Union (MU), second floor on the Davis campus. An appointment is required to get your ID card from the MU location. ID card processing is available Monday – Friday, 12:30 p.m. – 4 p.m. (PST). Alternately, you may use the walk-up hours at the ID Card Services location at 260 Cousteau Avenue in Davis, Walk-in hours for ID card services at 260 Cousteau Place are Monday – Friday; 8:30 a.m. – 4:30 p.m.
Retirement confirmation letter (mailed from UCRS when retirement is confirmed) or direct deposit/SurePay pension statement (downloaded from the At Your Service website). If you have an existing Library Card please provide your Library bar code at the time you request your ID. We will transfer your privileges onto your employee ID; otherwise you will be issued a new library bar code. 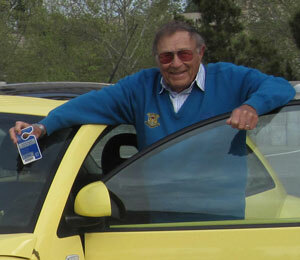 Faculty and staff who have retired from UC Davis employment, as well as retirees from other UC campuses who join either the UC Davis Retirees’ Association or UC Davis Emeriti Association, can obtain a complimentary retiree (RT) parking permit. RT permits provide “A” parking privileges on the UC Davis campus and “B” parking privileges at the UC Davis Health System. If a retiree should return to work as an employee of UC Davis, he/she is no longer eligible for this type of permit. Parking map, Davis Campus. Parking map, Sacramento campus. AggieCard (obtained from the AggieCard Office; see above);OR Retirement confirmation letter (mailed from UCRS when retirement is confirmed) OR direct deposit/SurePay pension statement (downloaded from “At Your Service Online” website). Many factors play into whether or not retirees may retain their @ucdavis.edu email account and/or address. Davis campus emeriti/ae—emeriti/ae may arrange with their department to retain their UC Davis email addresses. Davis campus retired staff—within 90 days of retirement, staff may apply for an optional and complimentary service that will forward their mailid@ucdavis.edu email to an external email address (e.g., yourname@gmail.com). Sacramento campus faculty and physicians emeriti/ae—emeriti/ae with a business purpose may arrange with their department to retain their UC Davis email addresses. Sacramento Campus Retired Staff—Unfortunately, email accounts for health system retired staff are disabled upon retirement due to HIPAA regulations and there is no provision for continued email for retired UCDH staff. Are retirees from other UC campuses eligible for any services and discounts? Retirees from other UC campuses or the UC Office of the President who live in the Davis vicinity are eligible to receive services from the Retiree Center and to join the UCDEA and/or UCDRA (as applicable). Retirees from other UC campuses should inform the Center of their contact information. Retirees from other UC campuses must join either the UCDRA or UCDEA to be eligible to receive a complimentary retiree (RT) parking permit from Transportation and Parking Services (TAPS). The Retiree Center will work with TAPS to assist you in obtaining this benefit. Some campus units offer retiree discounts to those from other campuses. Are lump-sum payees eligible for any benefits? Retirees who take a lump-sum payout are not eligible to continue any health and welfare benefits, receive the one-time death benefit or convert sick leave into service credit. However they are eligible to receive services from the Retiree Center and to join the UCDEA and/or UCDRA (as applicable). Lump-sum payees can also obtain an AggieCard and are eligible for complimentary parking passes, library privileges, and retiree discounts at campus units. How does one access the library on-line? Only emeriti/ae professors qualify for a full computing account and therefore access to the on-line library databases. Retired staff who are working for a department in retirement can be sponsored by the department using the Temporary Affiliate Form. Depending on one's affiliate classification, the Library may grant access to the on-line databases. The Library is under strict contracts as to who can access their databases, so visiting scholars, researchers, students, Open Campus students, University Extension students and many others do not qualify and cannot access those databases even though they all have Kerberos accounts. If it is found that UC Davis is in violation of the contracts access to those on-line databases can be permanently revoked for the entire campus.